The Musings of a 20 Something Novelist : Cover Reveal: Insert Fangirl Scream...NOW! Cover Reveal: Insert Fangirl Scream...NOW! So, long time no see! So sorry I have been slacking on the posts to this blog, but I think I may have something to make you happy. 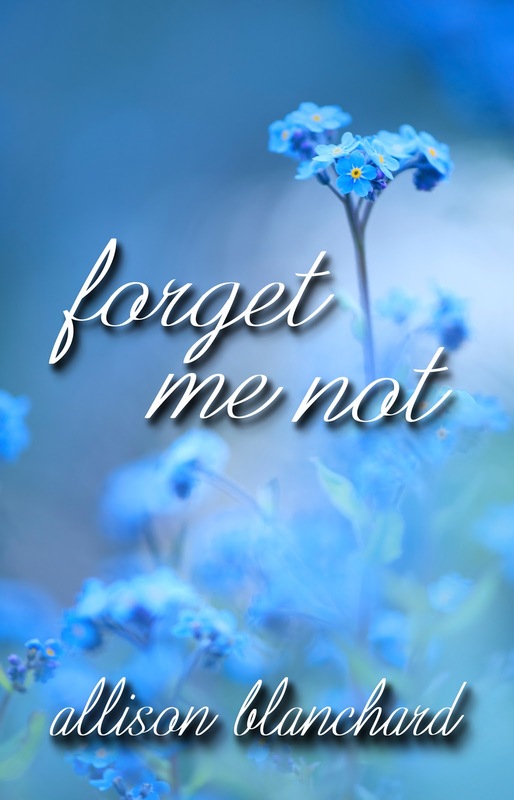 The cover to "Forget Me Not" is officially done and ready for to be looked at! AHHHH!! There it is my lovely readers. My official cover for my first novel and I want to cry. It's just so perfect! Now, before you ask let me explain. The release date of my novel is soon. Like you can go ahead and order my novel...by the end of next week. Wait, WHAT?!?! Yes, it will be available from my publisher's website, www.martsisterspublishing.com and from Amazon for Kindle. All other formats will take about 6 weeks before it will be available there. Therefore, my "official" launch date is pending. This simply means the date for when I will start having events and book signings is still up in the air. But for you to order the book is sooner than I had even dreamed. You could have my book in your hands in a little over two weeks. Ah! So now that you have the beautiful cover, please check back here for more updates. Like my Facebook page for even more updates! I hope you all have a beautiful Friday. And don't mind me. I'll just be drooling over my new cover! This looks like a great addition to the Martin Sisters Publishing collection.